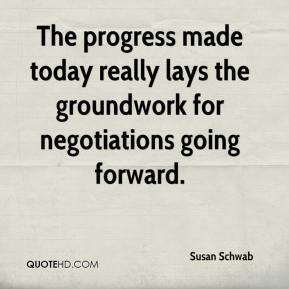 The progress made today really lays the groundwork for negotiations going forward. It's a significant and positive development. 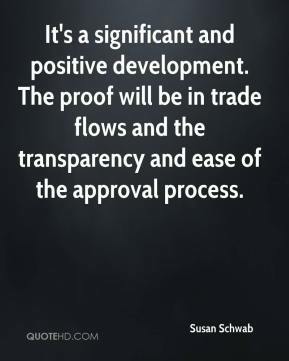 The proof will be in trade flows and the transparency and ease of the approval process. 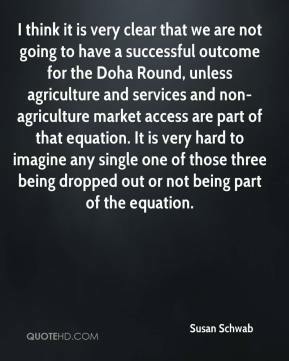 I think it is very clear that we are not going to have a successful outcome for the Doha Round, unless agriculture and services and non-agriculture market access are part of that equation. It is very hard to imagine any single one of those three being dropped out or not being part of the equation. 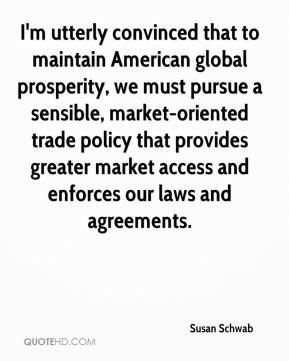 I'm utterly convinced that to maintain American global prosperity, we must pursue a sensible, market-oriented trade policy that provides greater market access and enforces our laws and agreements.